Jack was a player-manager for the Zurich Barracudas in Switzerland. Jack spent 1 season with the Barracudas and 2 seasons with the North District Reds in Adelaide, Australia, where he was also player-manager! Jack Thompson playing for Northern State University in the Metrodome, old home of the Minnesota Twins! 2010 Swift Current Indians. WMBL champion Swift Current Indians. Canada's premier summer collegiate league. Jack Thompson is the lead hitting and fielding instructor at 5 Tool High Performance Athletics. Jack has played ball professionally overseas in Australia and Europe and attended an NCAA school (Northern State University) while on baseball scholarship. Jack is a switch hitter who is known for his intelligence of the game. Although he was predominantly a shortstop in university, Jack has excelled defensively around the entire field, including stints at catcher while playing overseas! Jack is from Coquitlam, BC, played his high school baseball for the Coquitlam Reds in 2006 and 2007. Following a league championship in 2007, Jack went to Douglas College before accepting a scholarship to Northern State University. Jack also played his summers in the Western Major Baseball League (WMBL) for the Swift Current Indians where they won a league championship in 2010. After completing his degree, Jack headed to Australia for a season overseas as a player/manager. Following a good campaign, he signed onto a team in Europe. After another season in Australia, Jack returned home and began managing the BallYard at Sport Central! Shawn Hetherington has an extensive history in the sport of baseball, elite physical training, and education. After completing his college career at UBC where he holds multiple records including most saves in one season and most all time saves, he signed with the Calgary Vipers of the North American League. He had success in a league that included players from AA,AAA, and the big leagues (he struck out several MLB players including Jose Canseco). Shawn's baseball career then took him around the world where he played 2 seasons in Australia and one in Europe. In those seasons some highlights include multiple awards including most strikeouts (twice), most wins (twice), player of the year and even a team batting title (.328). During the off seasons Shawn worked in the fitness industry training at Innovative Fitness in Vancouver with clients ranging from those rehabbing injuries to actual Olympic athletes. This work continued as Shawn started his own business in Australia and was the team's head of strength and conditioning in his second season down under. Most recently Shawn has completed his Masters of Kinesiology at UBC where the focus of study and research is both coaching and skill acquisition. During the summer of this program Shawn coached the Collegiate Burnaby Bulldogs to the U21 National Championships. Sam comes to 5 Tool with a vast coaching resume and an even deeper playing background having played 4 years of University baseball in Nebraska. He then took his career overseas playing and coaching in countries such as Australia and Hungary. Most recently he was the Head Coach of the Hungarian National team, along with Head Coach and Manager of all teams at the Budapest Reds Baseball Club. Sam is from Edmonton where he has also recently coached the local PeeWee AAA team in the summer of 2017. Sam has a passion for baseball and brings great energy to every training session. He has a lot of experience coaching all ages in all aspects of the game. 5 Tool is happy to have Sam on board! Sean Callegari is a 2014 graduate of one of the top NAIA baseball programs, the University of British Columbia Thunderbirds. During his two years with UBC, Sean had 20 starts, going 10-4 with two complete games and an era of 2.58 in 142.3 innings pitched. 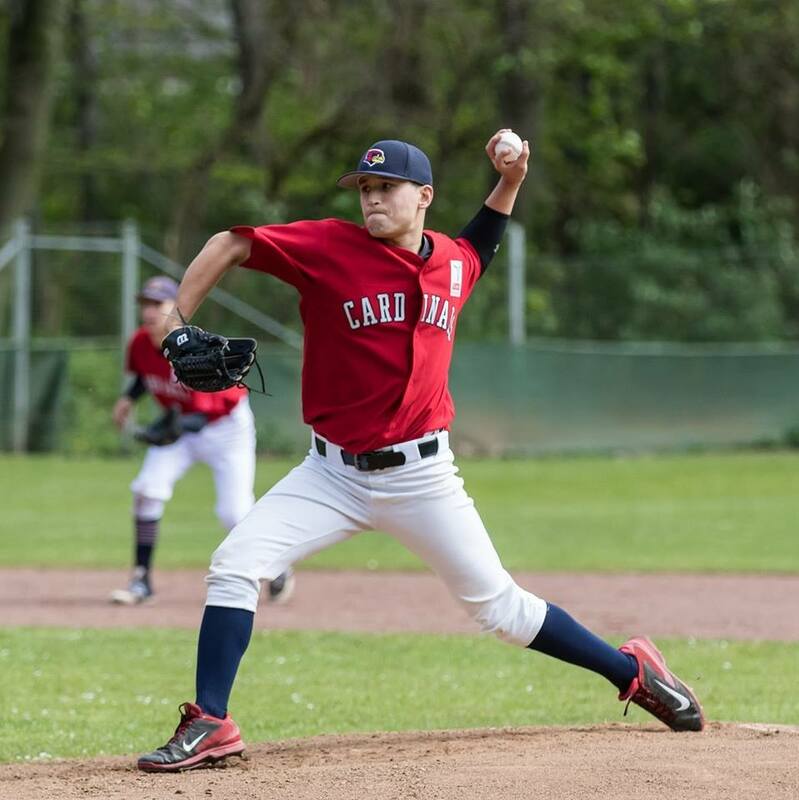 Sean has also dominated in the summers playing in the very competitive Western Major Baseball League going 8-0 with 104 K’s and an era of 2.07 over 99 innings pitched.